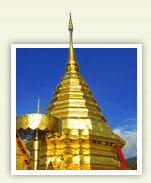 Thai wedding destinations in Northern Thailand are numerous. Getting married in Thailand always raises the question as to where in Thailand is the best place to get married. A traditional Thai wedding ceremony with traditional Thai customs is very exciting but also romantic. You are only limited by your imagination when getting married in Thailand. 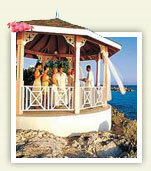 Over the years many foreigners have tied the knot in some of the most romantic and unimaginable locations. One very popular way of getting married in Thailand has been to marry your Thai fiancée in the underwater marriage ceremony. Each year on Valentine’s Day, down in Trang province couples are married while fully immersed underwater. Even if that is not a choice which suites you there are many other very unique ways of getting married in Thailand. 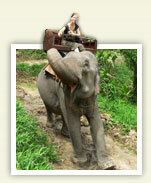 With so many locations throughout Thailand we have listed them by location. Below are some of the most exotic places in the Kingdom to marry your Thai fiancee. Northern Thailand is regarded by many foreigners as the most romantic location in Thailand to get married. Even though the Northern part of Thailand has no romantic beaches the lush vegetation and breathtaking mountain views more than compensates for its lack of a beach front. 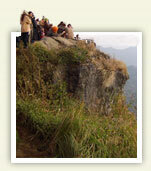 Northern Thailand is a marriage destination for romantics. During the winter months being from November to January the temperature is cool. With flowers blooming, breathtaking mountain views and the refreshing morning air, Northern Thailand one of the best locations for getting married in Thailand.” If you consider getting married in Northern Thailand view locations such as Chiangmai, Chiangrai and the picturesque border town of Mae Hong Son. Chiang Mai is the gateway to Northern Thailand and is naturally adorned with mountainous landscapes teeming with verdant forests. In its jungles live friendly and colourful hill-tribe peoples with unique culture and traditions originating as far away as Tibet. A city brimming with tradition and culture dating back to the earliest times, Chiang Mai offers magnificent tradition, temple and mountain wedding locations. See Thai Wedding in Chiang Mai. Chiangrai is the northernmost province of Thailand. The Chiangrai Province is bordered by Myanmar on the north, Laos on the east, Phayao and Lampang on the south and Chiangmai on the southwest. Chiangrai is about 785 km from Bangkok and 182 km from Chiangmai and can be reached by plane through Chiang Rai International Airport or by bus. See Thai Wedding in Chiang Rai. MAE HONG SON is nestled in a deep valley sandwiched by high mountain ranges; Mae Hong Son has long been isolated from the outside world considering its almost hidden location. Practically covered with mist throughout the year, the name refers to the fact that is terrain is highly suitable for the training of elephants. 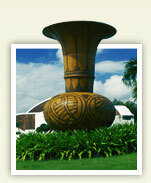 Udon Thani, a northeastern province covering an area of 11,730 square kilometers, is a prime business center of I-San. Located 564 kilometers from Bangkok, it is the world heritage site for the prehistoric culture of Ban Chiang. Udon Thani is probably best known for its archaeological wonders, paramount among them the hamlet of Ban Chiang where the world’s first Bronze Age civilization is believed to have flourished more than 5,000 years ago. Apart from the spectacular vistas that the North offers, visitors should also expect some of the northern traditional food, such as Khao Soi (Chiangmai’s noodle with chicken put in special made soup). Expect original spicy Isaan food especially the popular Somtam-Kaiyang (grilled chicken). 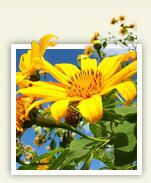 Besides, Northeastern people are well known for their friendliness and relaxing way of life. Also expect a charming northerners’ dialect and their acclaimed polite and sweet manners. Copyright © 2007-2015 marrythailand.com. All Rights Reserved.